12 Sept 2015: I’m Back from the Lone Star State! Yes, I’ve been away for a bit. I was in Texas last week on a research trip for my next novel. 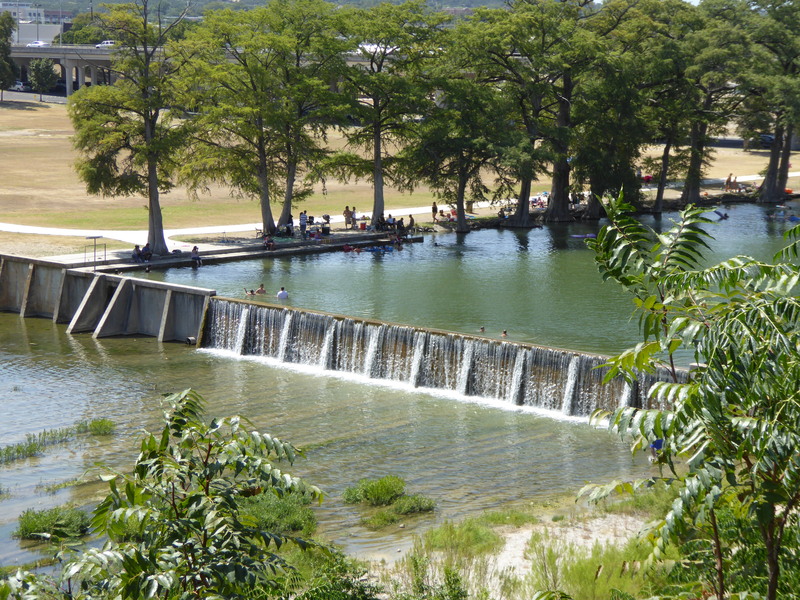 I plan to set it in Texas Hill Country and was staying in Kerrville, Texas while exploring everything that this beautiful part of the country has to offer. While there I visited tons of great places I can write into my books. I’m so glad I took the time to go in person instead of relying on Google Earth to give me the lay of the land. I’ve done that in the past and it’s worked out well, but with this book I’m planning on placing most of it in and around Kerrville so more detail was necessary. Plus I like authenticity. I like to have my characters visit real places an eat at real restaurants. I want you to be able to read my books and then go visit the towns mentioned and see exactly what my characters saw, taste what the tasted, smell what they smelled. Not all writers do this, but I do. Kerrville is lovely … but strangely deserted. (notice the cool lone star in the street) Yes, it was Sunday when I took this picture, but even during the week, the “historic downtown” was pretty empty. 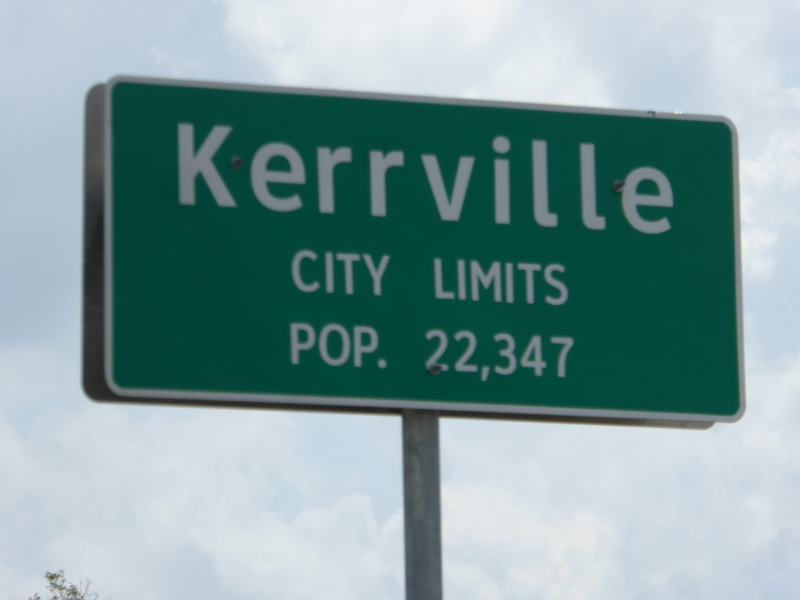 When I asked the fellow at the front desk of my hotel why folks came to Kerrville, his reply was that folks only came to go to the river. Next I visited Bandera. 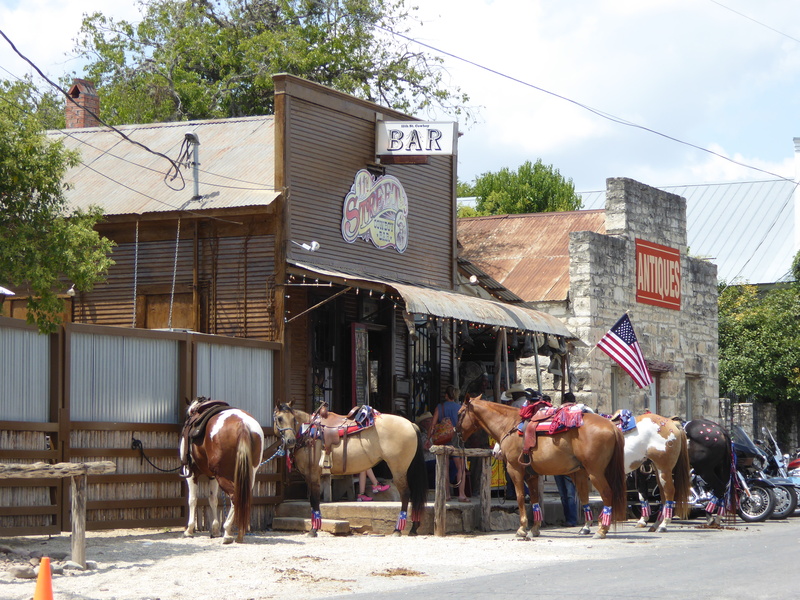 Bandera is about a half hour or so South West of Kerrville and according to them is the “Cowboy Capital of the World.” Bandera sells that title to all its visitors by really hyping the Old West history of Bandera. 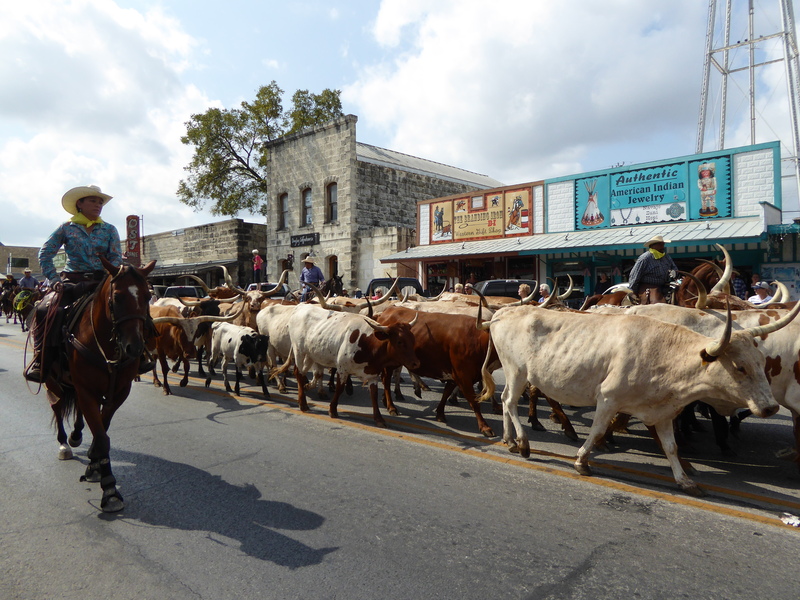 I was fortunate enough to be in town when then they had their annual Celebrate Bandera day and a parade of Longhorns down Main Street before the parade. Yes, they don’t shy away from the stereotypical cowboy town here. No, they embrace it with eagerly outstretched arms. 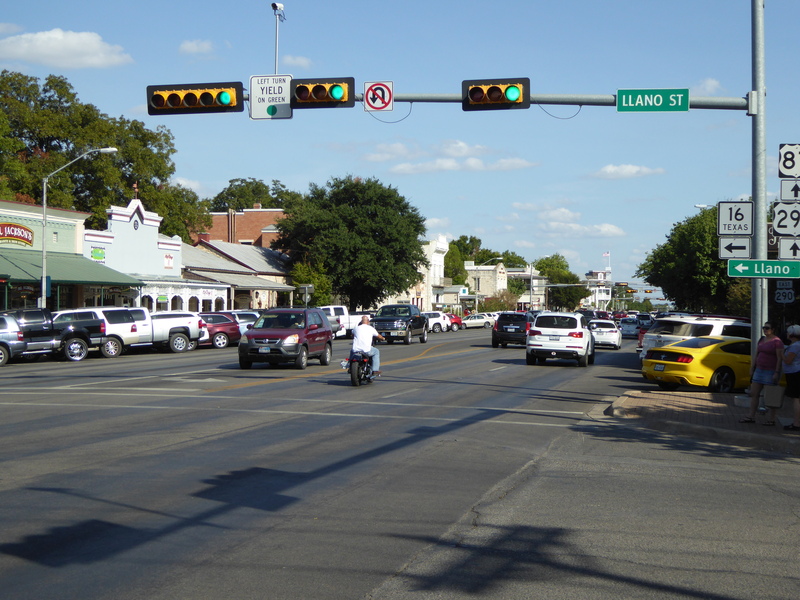 The Third town I spent time in was Fredericksburg. It’s about a half hour North East of Kerrville. Being from the East end of Long Island, I’d call Fredericksburg the Southampton of Hill Country. It’s still old Texas, but with a mix of pricey high-end stores along with its five and dimes. Had I not gone to see for myself, I’d never have picked up on the subtleties of each of these towns that I intend to write into my novel. So sometimes it does pay to take a trek to the places you intend to write about, especially if you want to write accurately about the sights, sounds, smells and tastes of the place.